Limey green sets off giant white polka dots in optik! 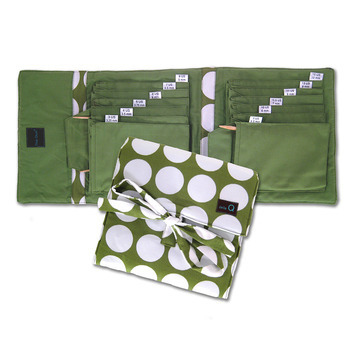 Beautiful deep lime green with white polka dot optic cotton print print. Check out how to use this wonderful case in Della Q's Video below! eck out the features of the QUE here.